The Christmas season is one that brings joy and excitement to many families around the world. It is a time to celebrate traditions, spend time with loved ones, and to give and receive gifts. As a child, I remember clearly scouring the Sears Christmas Catalogue, dog-earing each and every page that contained a toy that I was even remotely interested in. I circled items without the slightest bit of hesitation. And I am sure that I circled many. I knew that I would not receive each and every gift that I requested, but I did know that Christmas would bring joy, food, laughter, and gifts. We were a family that lived with the same yellow-with-orange-swirls countertops from the 1970’s, drove our vehicles until they could not be driven anymore, and fixed what was broken. In this day and age of hyper-consumerism, it is easy to become sucked into the need for “more.” I experienced it too as a young girl – each toy in that catalogue was new and exciting and promised me a joy that was at best, fleeting. Do you perhaps see it in your children too? 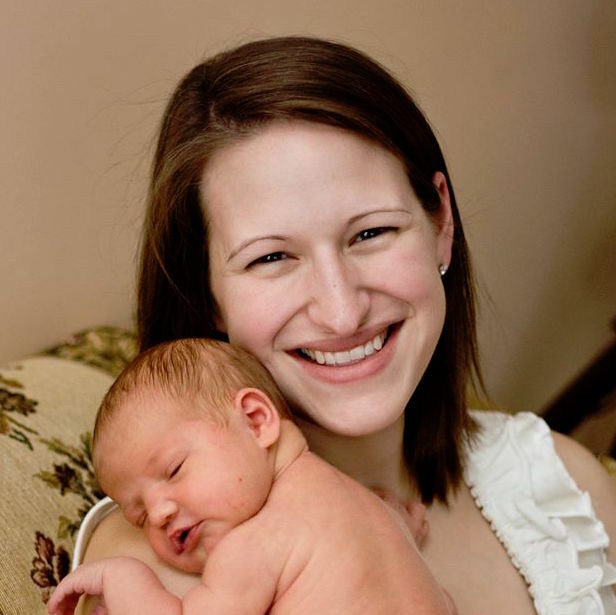 As parents, what can we do to redirect our children’s focus onto something or someone outside of themselves? 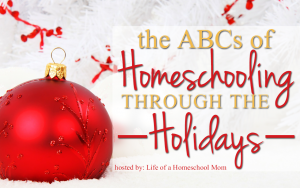 This post is part of the ABC’s of Homeschooling Through The Holiday’s series with Life of a Homeschool Mom. 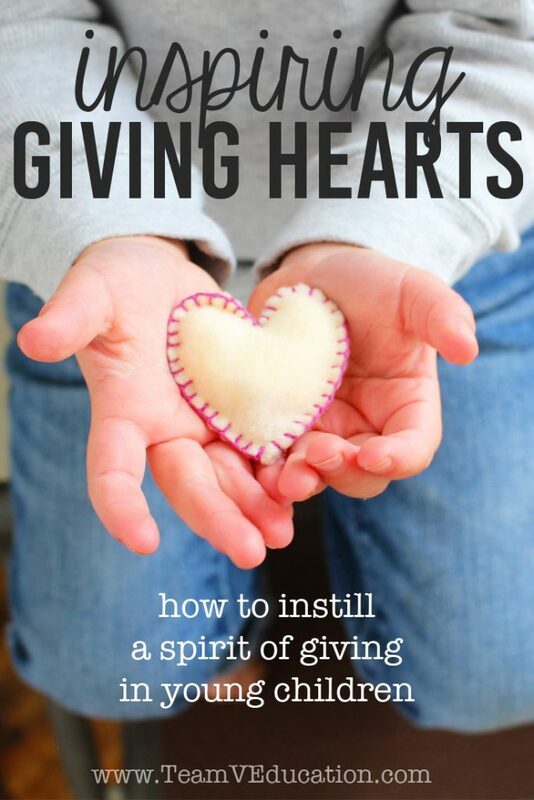 You can read the rest of Inspiring Giving Hearts: How to Instill a Spirit of Giving in Young Children, along with many other fantastic posts by clicking the image below. Head on over to glean some wonderful ideas to inspire your holiday season at home. How do you encourage your children to bless others?